MAC do many things well, but in my book their shimmery red lipsticks are some of their best, and I have a fondness for their nautical themed collections too. Naughty Nauticals, released in 2008, was as far as I know, their first nautical collection and was followed up by Hey, Sailor! in 2012. 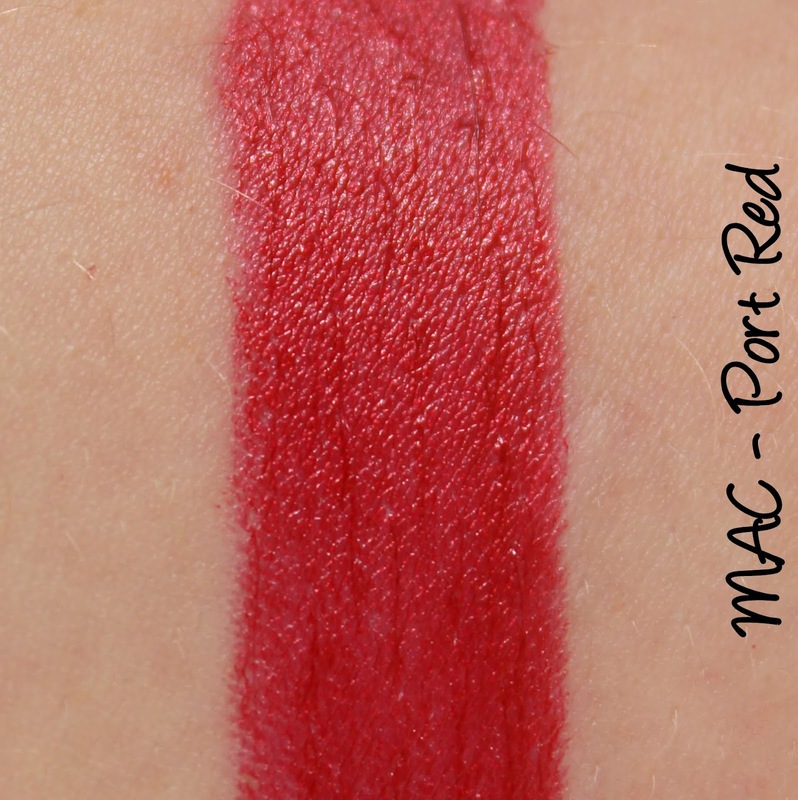 Alongside the other treasures in Naughty Nauticals appeared Port Red lipstick, often mentioned in MAC addict circles as a potential dupe for the revered Queen's Sin lipstick (Antiquitease, 2007). While Port Red isn't as metallic as Queen's Sin, it's still a beautiful, shimmery red in its own right and lingered on my wishlist for years and years before I finally lucked upon a tube. 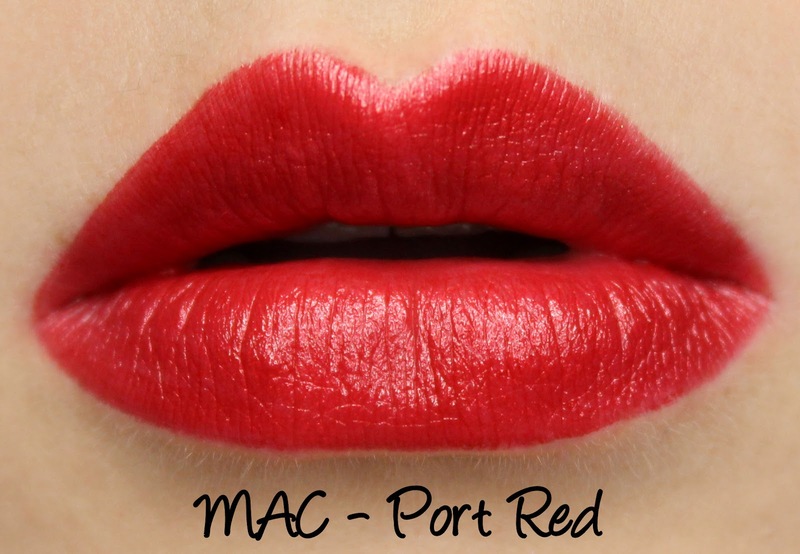 Port Red is described as a 'yellow red with gold pearlized pigments' in a Frost finish. It has rich, opaque colour coverage with visible, but not overwhelming shimmer. 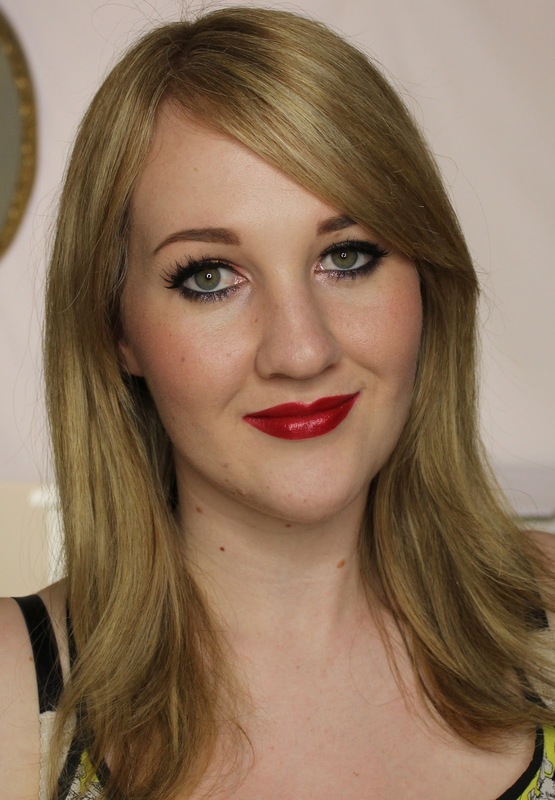 I do sometimes find MAC's frost lipsticks drying and Port Red was in line with this, becoming clingy and slightly drying toward the end of its six and a half hour wear time. It held up well throughout wear and didn't feather or migrate which pretty much negated the dryness for me - the colour is just too gorgeous to hold that against it, anyway! 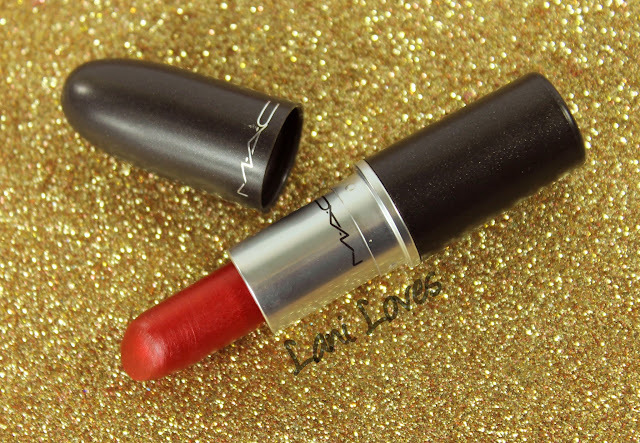 I hope MAC repromote Port Red some day, although they have released other shimmery reds since - Viva Glam Rihanna 1 and Head in the Clouds, while not dupes, are some of the more recent iterations if you're on the hunt for one.